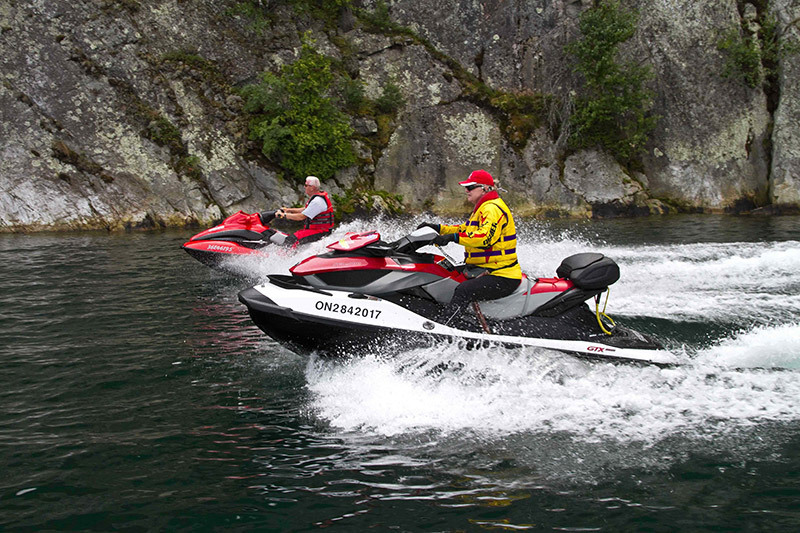 We know Sea-Doo owners like to take advantage of any riding time that they can during their busy schedules. 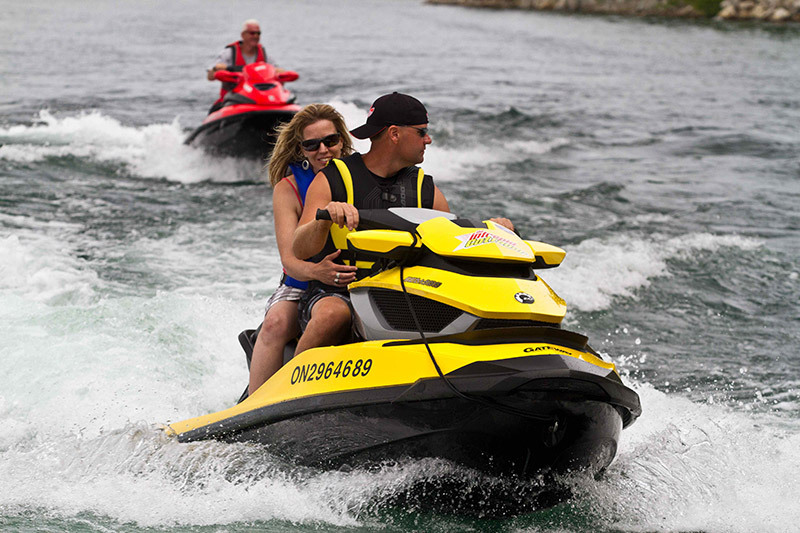 And, since a Sea-Doo watercraft is so easy to get to the water and back, it’s perfect for quick or extended trips. But, the water can be unpredictable, and as much as we’d like to be able to control the weather to manage the waves, we decided instead to develop an even more optimized ride. 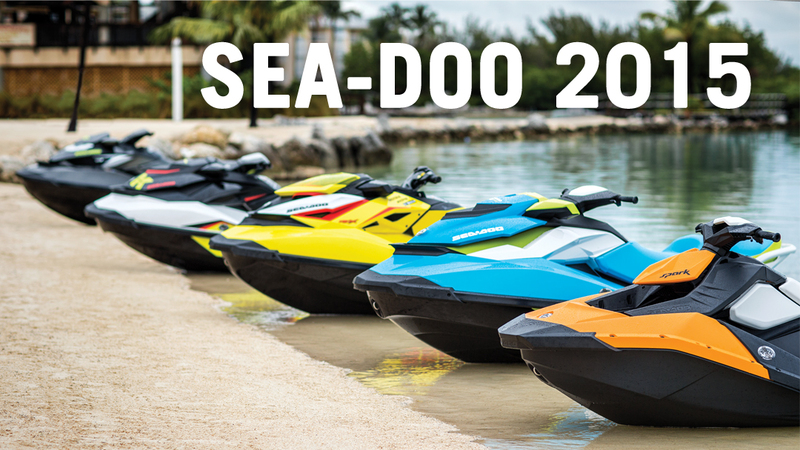 Sea-Doo was the first and has been the only to develop full-rider suspension on a personal watercraft. Models with suspension experience a smoother and more comfortable ride every time even as water conditions vary throughout the day. 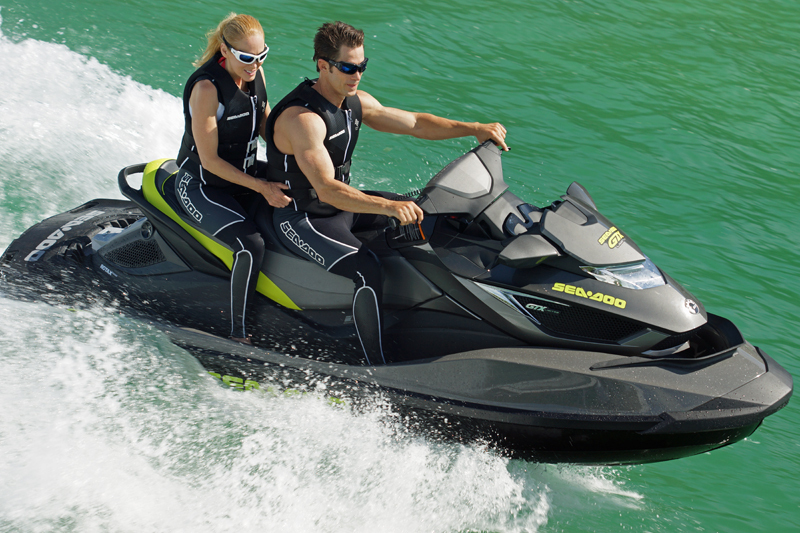 With suspension, when waters get rough, the rider is cushioned from wind chop and arm fatigue is reduced. So, if you do have the time for an all-day ride, you’ll enjoy it longer. 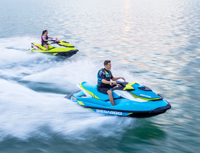 Passengers also love suspension for the extra comfort; whomever you’re living the Sea-Doo life with will want to keep riding with you. Since every rider has there own preference, there are variations to what Sea-Doo suspension has to offer. 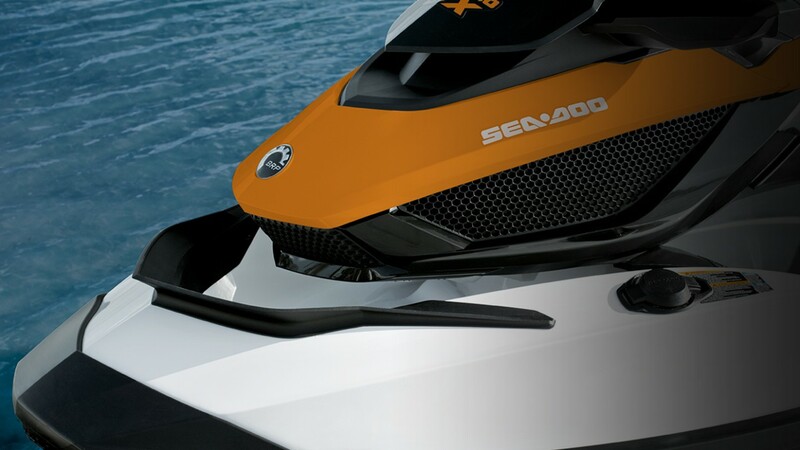 The Sea-Doo GTX S 155 has 5.5 inches of manually adjustable suspension. You can enjoy a smooth ride in all water conditions. On the Sea-Doo GTX Limited iS 260, the “iS” stands for Intelligent Suspension. It automatically adjusts compression to water conditions allowing for the greatest range of suspension travel for the smoothest ride possible. The iS system also offers docking mode that automatically lowers the suspension to lower the rider’s center of gravity during slow speed operation for greater stability and raising the rider environment to the normal riding position when underway. The entire riding area moves independently from the hull, and with iControl, you’ll get optimal suspension during your ride. If you’re one that enjoys a long cruise, you will really appreciate this, perhaps even more so Monday morning. 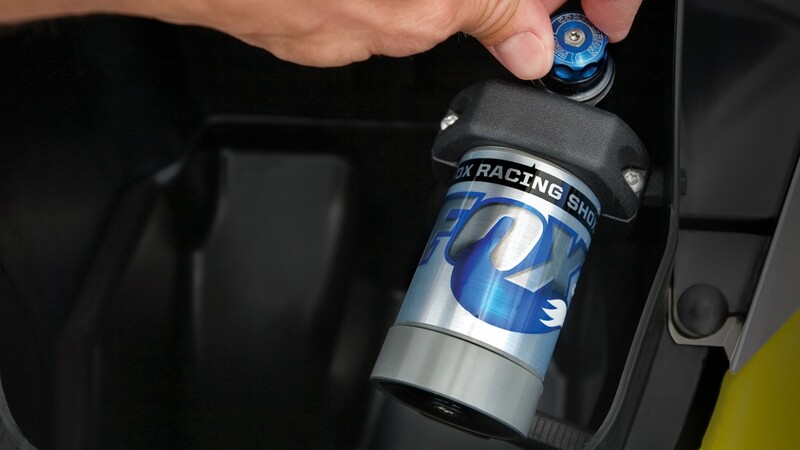 And, if you’re a performance fanatic, the Sea-Doo RXT-X aS 260 uses superior-grade, high-performance shocks, with full preload and compression manual adjustability. It offers just the right combination for riders who like to challenge offshore conditions but still maintain plenty of control. 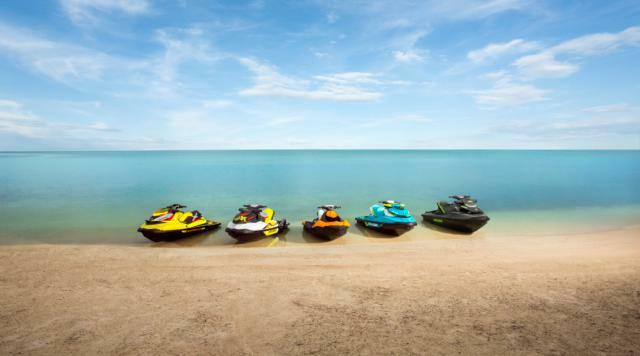 No matter which type of rider you are, our suspension options deliver Smooth sailing, Sea-Doo style. Changing the set speed is as simple as pressing the up or down arrow on the far right handlebar switch. This works just like most automobiles with cruise control. But there’s a difference with Sea-Doo Cruise Control. In my vehicle, I take my foot off the gas pedal after cruise is set. With Sea-Doo Cruise Control, what really happens is that I pick and set a maximum speed. To maintain this constant, selected speed, I squeeze the throttle lever to the bar. If I let off the throttle, my speed will decrease like it normally would without Cruise on. Squeeze it again and the maximum speed will be what I selected with Cruise. So how is this useful? First, it’s very relaxing for a long distance run. I don’t have to be working the throttle or checking the speedo all the time. And I can keep my throttle hand relaxed in a comfortable position. Second, by eliminating any speed variations with Cruise, I can optimize my fuel economy, which is essential on a Sea-Doo tour. There’s a second way Cruise is useful. When the water gets choppy, I find the best speed for that particular set of wave conditions, and then set Cruise so I’m skimming the crests as much as possible. Without Cruise on, maintaining such a constant speed is difficult because my throttle hand and fingers have a natural tendency to move and shift with the waves and the motion of the Sea-Doo. But with Cruise set, all my throttle hand has to do is grip the throttle lever tight to the handlebar to keep speed constant. That same grip also helps me maintain better control of the watercraft and hang on for dear life if the waves get really hairy! A summary of how to operate Sea-Doo Cruise can also be found on the handy info card that comes with all 2011 and later iControl models. Talk to you next time!